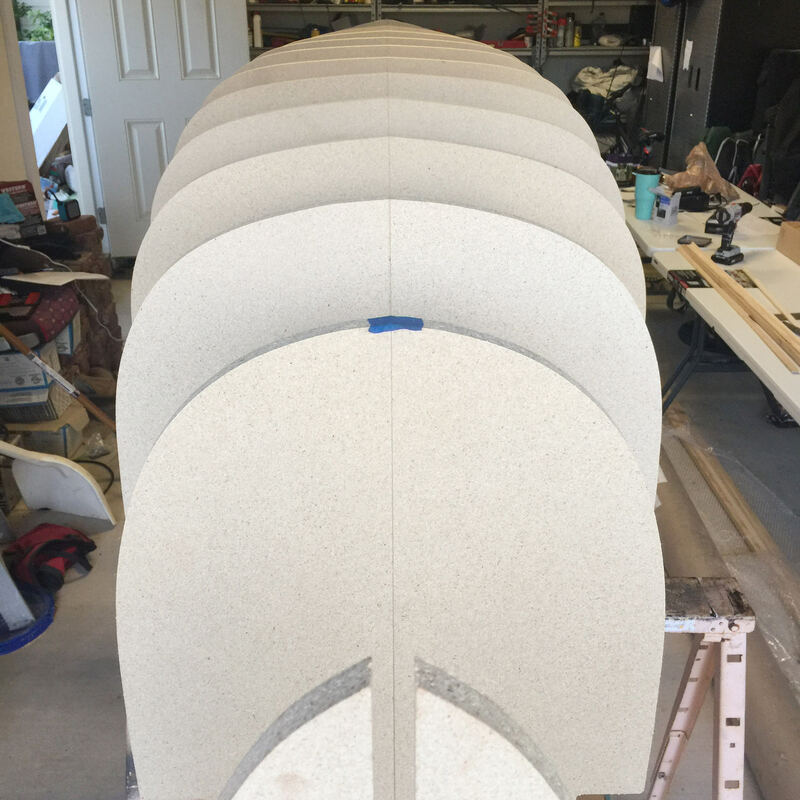 I remember watching BryanM's cedar strip canoe build in 2010 and thinking how I'd love to take on a project like that. Fast forward to 2015, which was the beginning of my ongoing mid life crisis. While this term generally brings with it negative connotations, my mid life crisis was perhaps exactly what I needed in life. I've tried to be a better father and put some effort into my marriage. I've done some fun things and fallen on my face a couple times. In short, I've enjoyed living with fewer regrets and trying to cross things off my bucket list. Early into my mid life crisis I bought this book. I read it a few times over the course of years, but never had the courage to commit to the project. 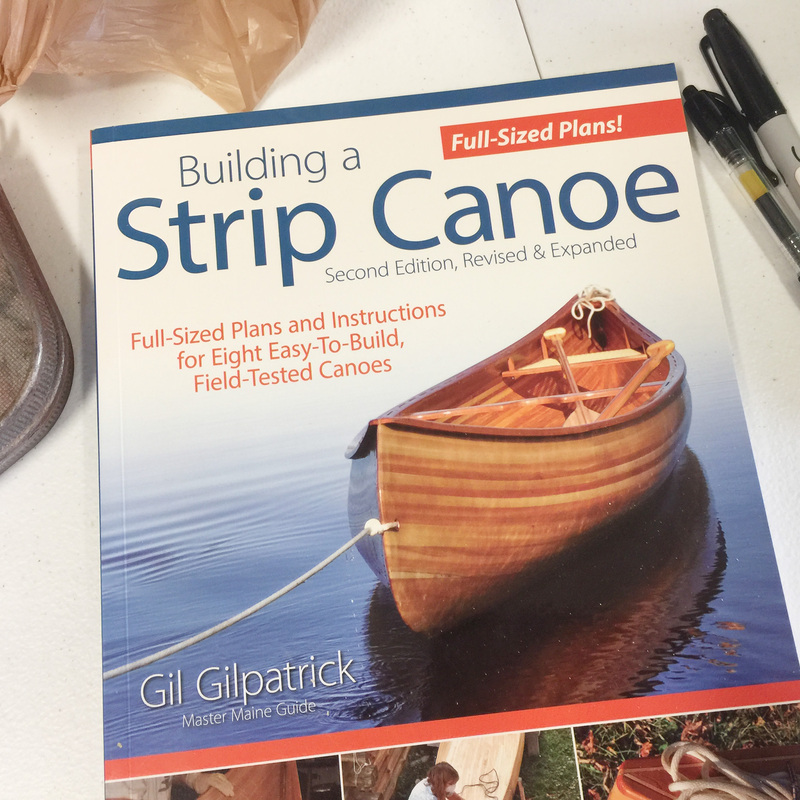 I got tired of hearing myself tell people that I was "seriously thinking about building a canoe." Seriously thinking has gotten me nowhere in life. I also watched -G- build an amazing drift boat in 2017. So in the spirit of my ongoing mid life crisis, I pulled the trigger. I settled on plans for a Prospector 16 and ordered materials. First, I'll disclose that I am "cheating" in two ways. I purchased the western red cedar strips already milled and with bead/cove edges. 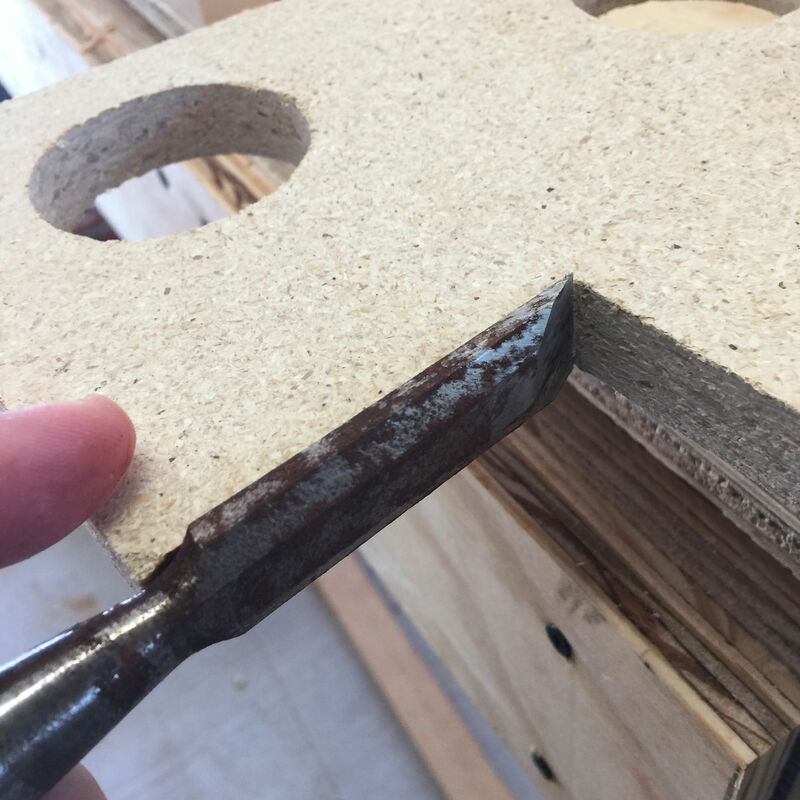 The reason was that I don't have the tools to do this, and I simply didn't want to rip wood for two days straight. Ten fingers have served me relatively well for the first half of my life. 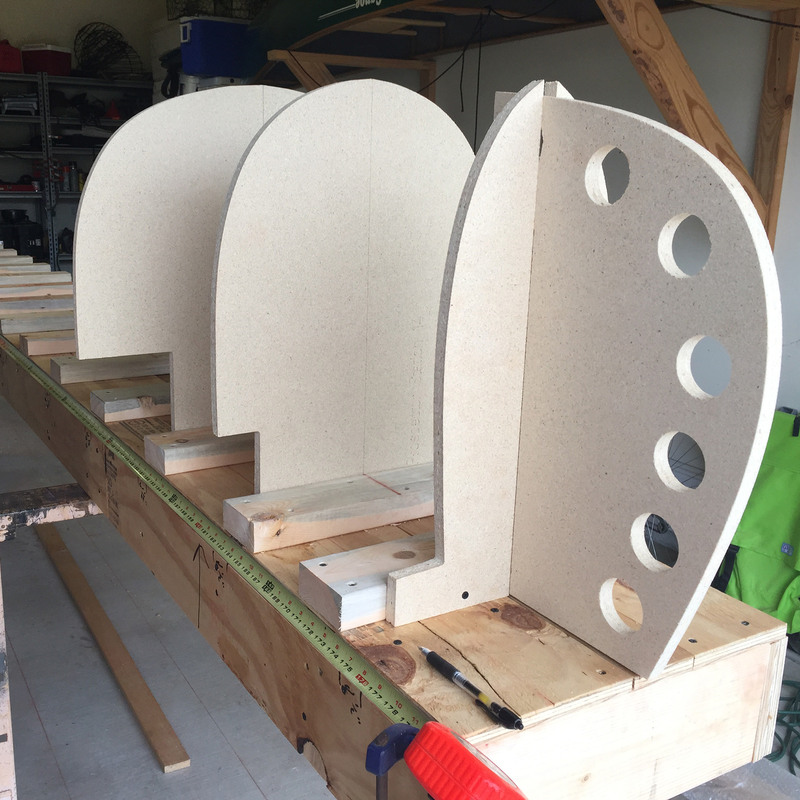 I also purchased CNC cut forms along with the plans. 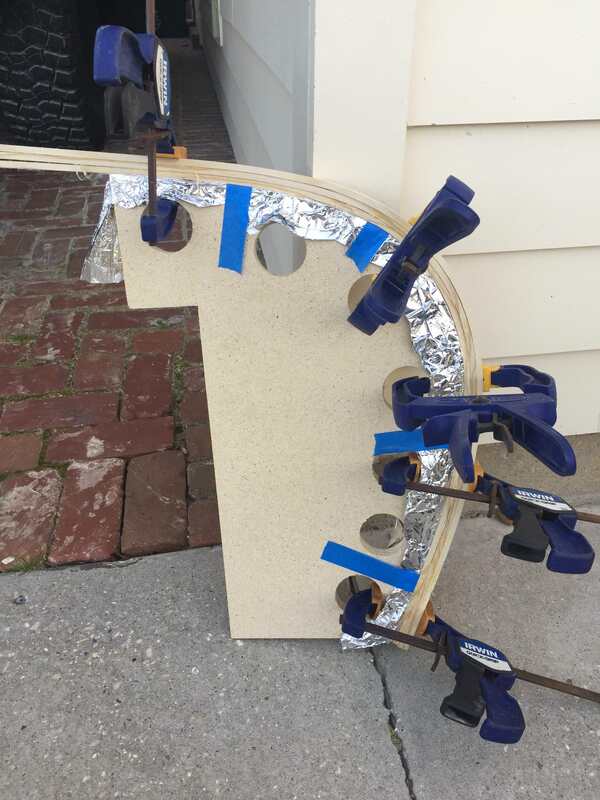 The forms were cheaper than acquiring the materials and additional tools. The are also a hell of a lot more accurate than anything I could produce. 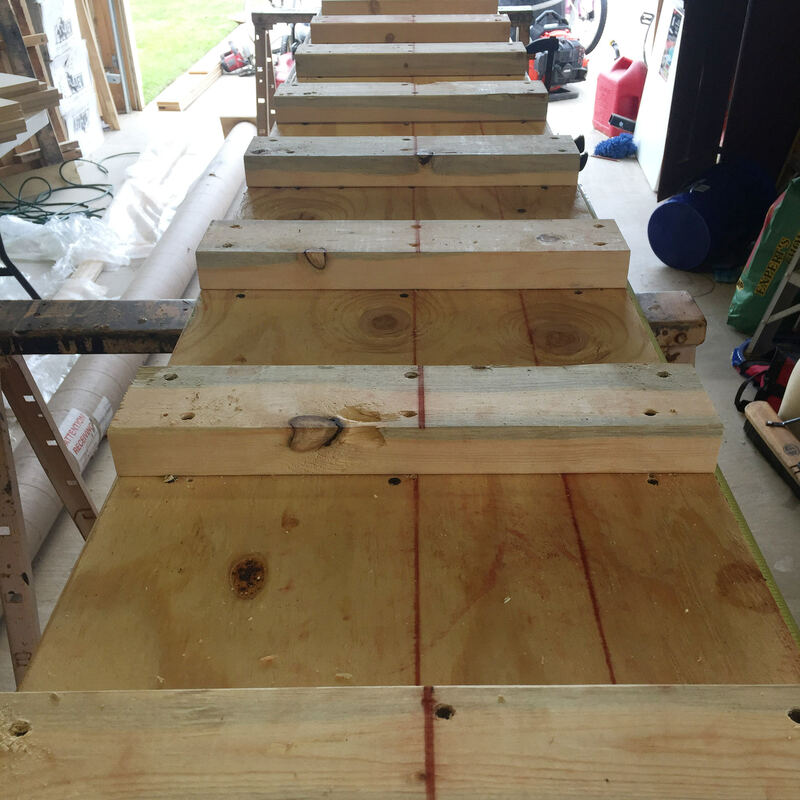 The first step is to build the strongback, which is a 15 foot "ladder" style bench that the canoe is built on. 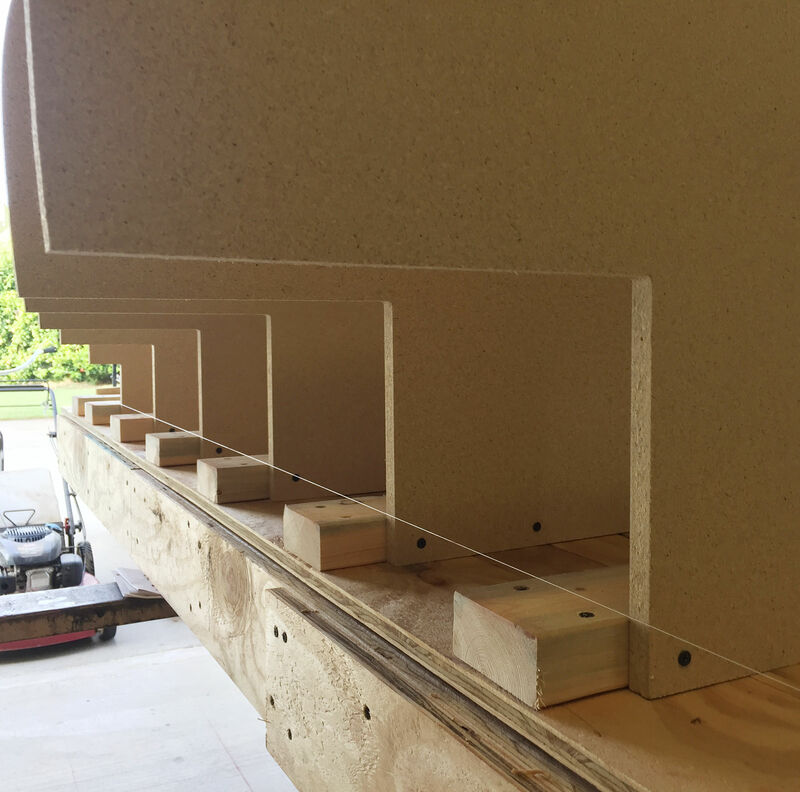 The sides are laminated strips of plywood ripped down to 5 1/2" in width. I quickly learned how difficult it is to build something that long that is perfectly straight and square. It took a few tries to produce something acceptable. 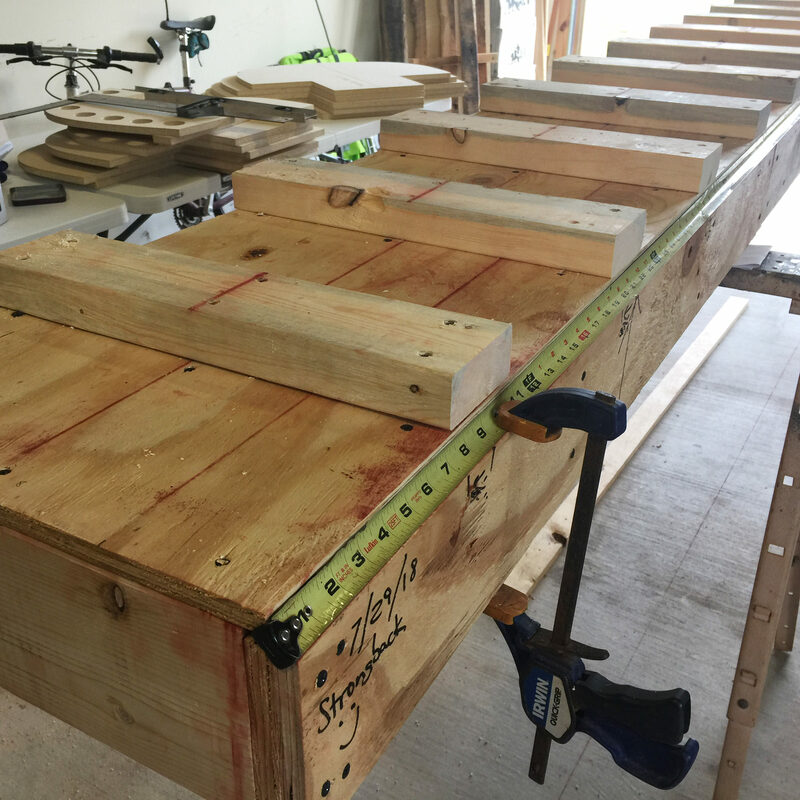 The next step was to add the stations, which are essentially a skeleton version of the canoe mould. Strings and bubbles don't lie. The next step was to work on the stem forms. 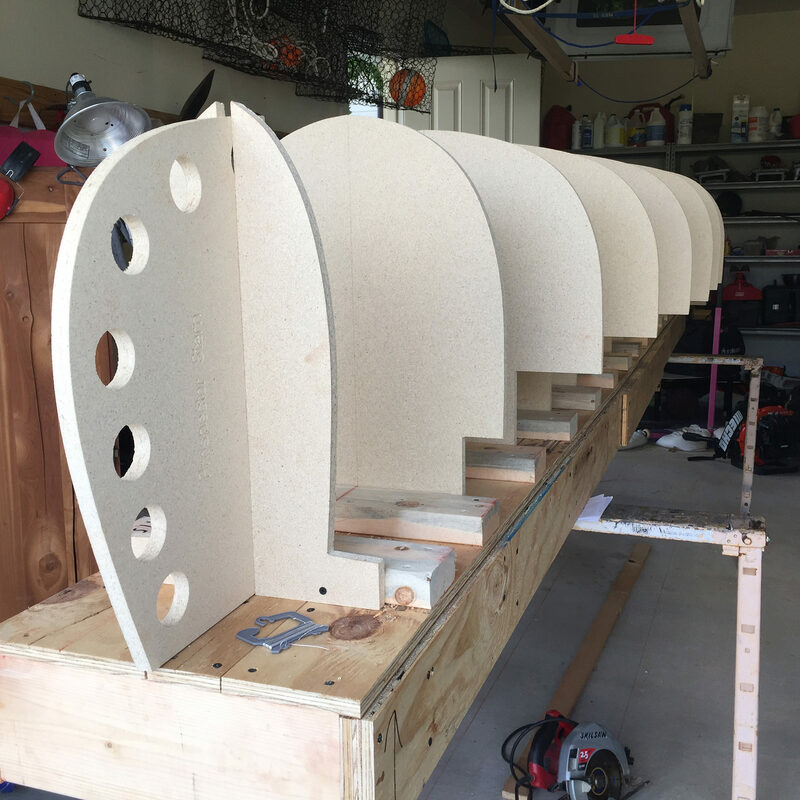 This requires laminating three strips of wood to form the "ends" of the bow and stern stations. 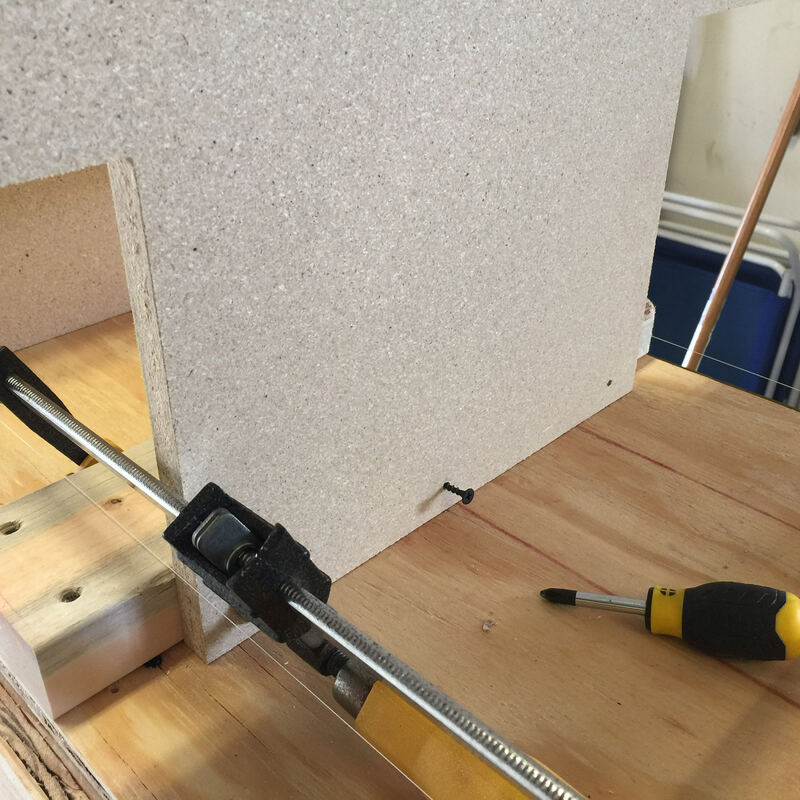 In order to bend the wood strips without cracking, they must be steamed. An online search revealed a homemade setup to accomplish this. 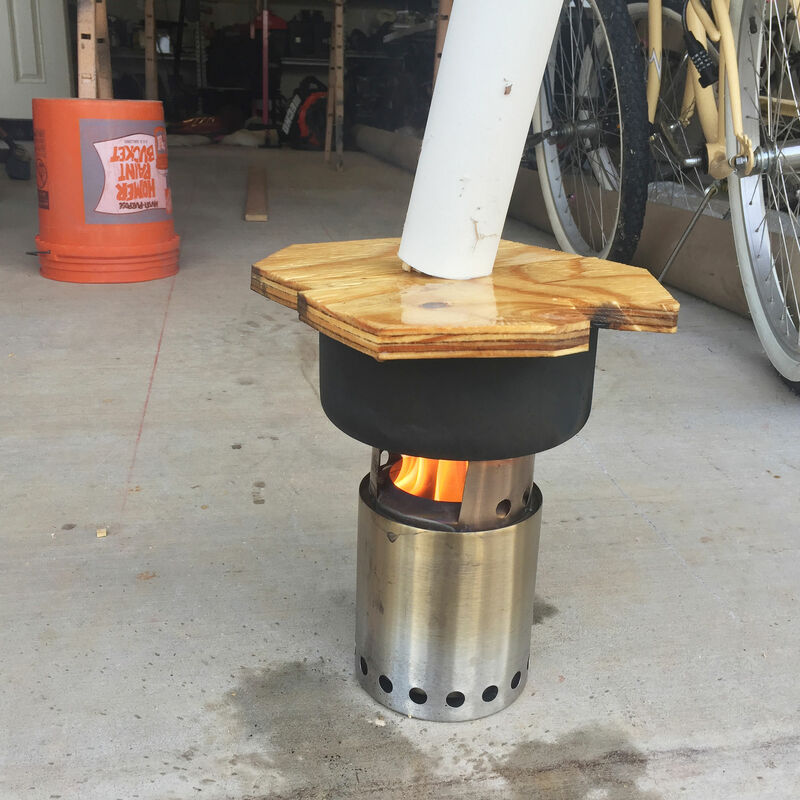 It involves a camp stove, pot of water, plywood "lid", pvc pipe, and a top cap. 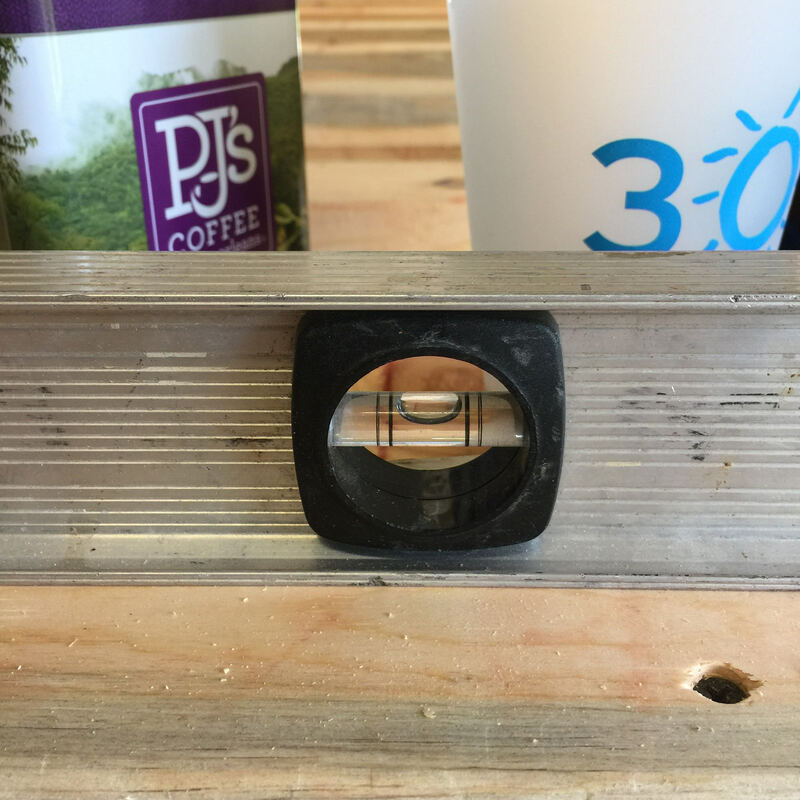 A hole is cut in the plywood lid for steam to rise into the pvc pipe. The wood strips are in the pipe. I soaked the plywood to avoid burning down my garage. 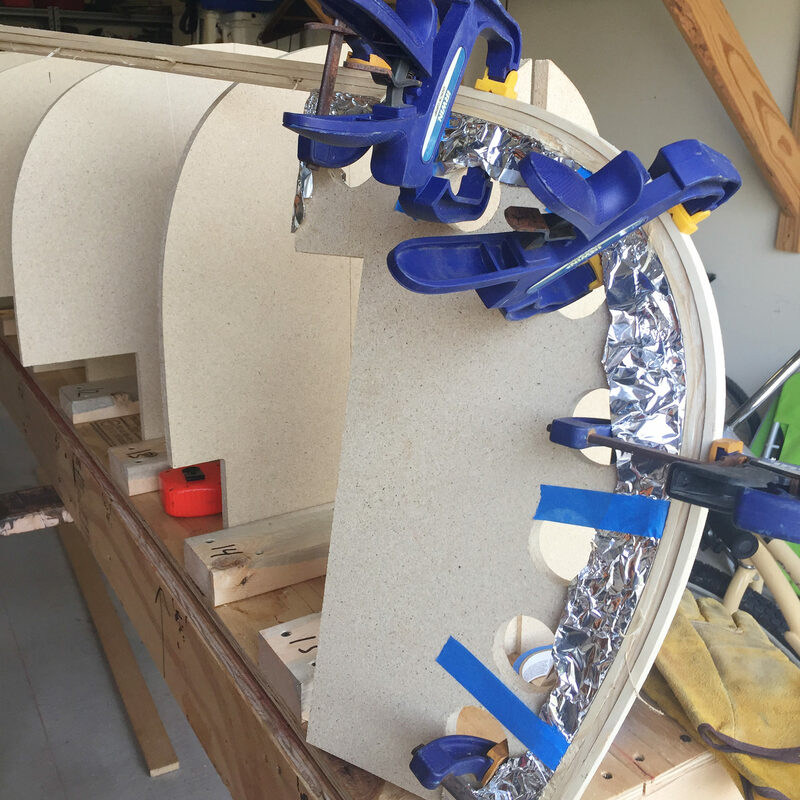 The hot strips are taken out of the pvc pipe and immediately clamped in place. The next day they were dry enough to glue. Last edited by Ruddy Duck on Sun Mar 24, 2019 8:50 pm, edited 4 times in total. Good to see you getting to it, well done. Gil Gilpatrick ! A well known Mainer. Good stuff that I would never have the balls to attempt. Congrats. When you're done you can probably convert that steamer into a coonass still of some sort. Looking forward to the continuing saga! 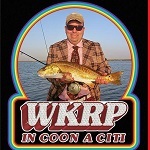 He mentions hunting, trapping, and fishing in Maine quite a bit in the book. I'm a little suspicious of why he would fish so much as I hear there are no fish in Maine. Where were you when my neighbors would walk down the street and ask what I was doing? I wasn't that clever. Badass...can’t wait for the next installment. I'm with KP on this! I think you could pull off a bad hair dye job and gold chains in a canoe vs a red sports car. Are you going to paint a lightning bolt on the side? I started to build a boat once. Maybe you will inspire me. I'm so happy that you got the picture posting thing figured out now.... This is going to be awesome. The offer still stands - Let me know when you need a hand/moral support/heckling and I'll bring beers or whatever else might be needed.